It’s never easy for versatile people to sit idle. The span of 24 hours is a little too less for them to unfurl their creativity and to do good with their enormous potential. Very often do we come across versatile, truly epic personalities who can juggle with multiple roles and carry the staunchest of responsibilities without shrugging their shoulders. But, a question remains unanswered- how many times have we come across film actors and star celebs who can straddle with an eclectic mix of film related responsibilities with customary ease? I reckon, not many times! In the pantheon of Hollywood greats, there lies an undying symbol of style and grandeur who has brought the celluloid screen alive with great, multi-faceted portrayals, time and again, in a career that spans 5 decades, and it seems after around 100 commercial and documentary films and T.V. productions, he isn’t done yet. Knowing a gentleman that goes by the real name of Clinton Eastwood Jr., from San Francisco, United States can be a heavy duty job. It’s a pretty daunting task to contain within a few words such a remarkable and versatile career. The man many love to imitate for his iconic personality and calm quotient, is simply more than a great Hollywood actor. Clint, as we know him to be the super-star of many a brilliant Cowboy Westerns like A Fistful of Dollars, For a Few Dollars More, The Good, The Bad & The Ugly is not simply just a great American star of spaghetti westerns of Sergio Leone, those mega box office hits, shot in Italy and admired world-over, Clint is a metamorphosis of breaking the stereotype into becoming a legend that never grows old. 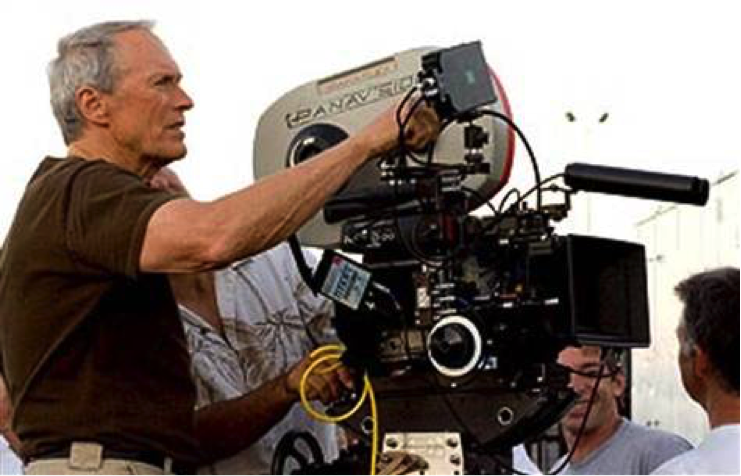 An actor who relied on the might of his glare and that alluring walk, the silence and the blink of the eye with a dash of candour, Clint Eastwood has etched his name among the finest of directors in Hollywood with an array of highly successful and critically acclaimed movies. 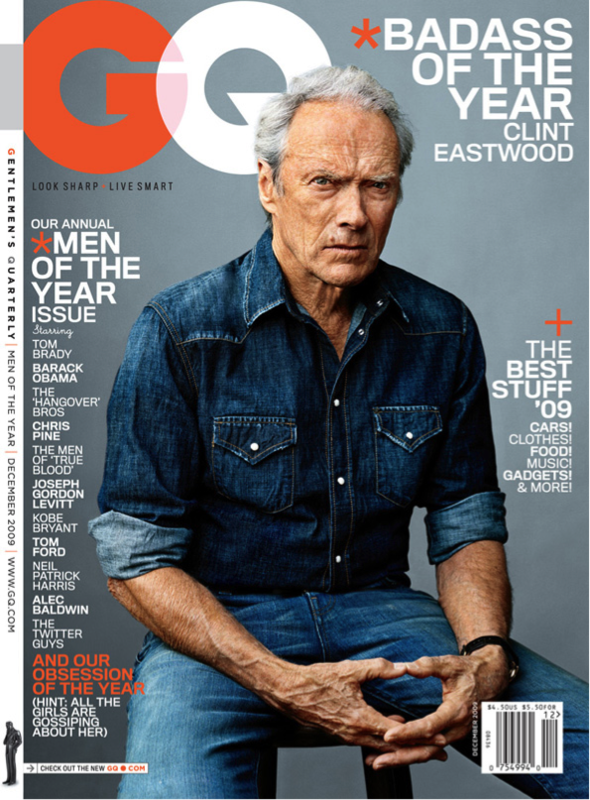 On May the 31st, Clint “the cowboy legend” Eastwood turned 85. In his 8 decades on walking on planet earth, the iconic trend-setter from Hollywood has carved a niche career for himself. His films have won awards at Cannes, he has changed the career path of stars like Kevin Bacon, Kevin Costner, Gene Hackman, John Cusack, Hilary Swank and Bradley Cooper by directing them in critically acclaimed films like “Unforgiven”, “Midnight in the Garden of good and evil”, ” Million Dollar Baby” and the recent mind numbing venture: “The American Sniper”, respectively. Growing up in Carmel, California, Clint was only a youngster when he started doing odd jobs to fend for himself in a family struggling to come to terms with stability following the clamour of the great depression. Following the advice of fellow actor James Garner, Clint approached Universal Pictures for an audition and first tried his luck at being an actor. Those were early days and Eastwood, the man of few words had all the time on his hands and effort in those bones to go far. By the age of 15, the stylish actor had already possessed a self-owned Chevy 32, a laidback car finely matching his calm demeanour and personality. His first major break was the ‘gun-slinging’ stylish TV series called Rawhide, a western series that gave Clint a breakthrough. 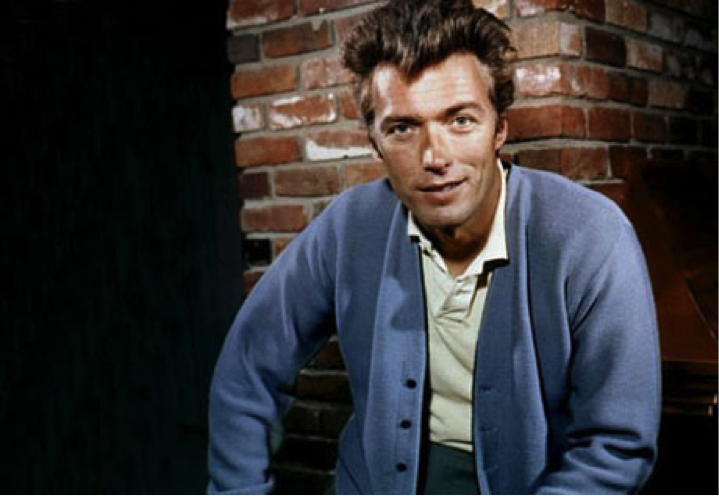 From doing its first episode in 1959, when he was just 29 to finishing 217 episodes in 1966, Clint never turned back for the promise of a growing star had already been established in Hollywood. What was to follow in the next years would be pure, unending magic. Post completion of Rawhide, he was to turn towards the unfamiliar trajectory of films in Europe, that not many in the US were familiar with. In a chanced meeting with Sergio Leone, the great director of those gripping action packed cowboy westerns, that made Clint a household name in America, Eastwood had found what he calls his creative soul mate. The results of the enduring partnership were the tacit and subtly stylish character that was born on the silver screen through The Fistful of Dollars, For a Few Dollars more and amongst the grand marvels of cinema: The Good, the Bad and the Ugly. After a tumultuous 50s where he worked endlessly, the 60s marked the rise of the star called Clint Eastwood, one who was to truly come into a league of his own. You would be incorrect to think and castigate Clint’s persona limiting him as only a successful star who played the cowboy hero for his portrayals of the mythical “man with no name”, the name of his character in those hugely successful westerns. Definitely the greatest style icon to ever don those brown high boots, the spectacularly murky albeit stylish black shirts, the jaded buckled belts and the cowboy hats since John Wayne, Eastwood with the stubble and twirling of his eyebrows, resonated a contained rage and yet, a new wave of cool that were to establish his cult as the unlikely new hero of American cinema, at a time that interestingly coincided with America’s hugely controversial campaign in Vietnam in the 60s. Men wanted to be like him and young boys were attuned to the charismatic charm and grace of the horse rider, who would come from a land unknown and without spurting too many words, would beat the hell out of the goons: a trend that Clint set so amazingly, that today you cannot distance the face of Clint from the first impression you get of a cowboy. In the 70’s the versatility of Clint Eastwood met with an interesting array of characters and challenges. He starred in the legendary Don Siegel’s Dirty Harry series, which soared his legend to such epic heights that it was unimaginable not to think of his name when speaking of Hollywood. Starring in 5 separate Dirty Harry series, Eastwood played the reckless, hassled but workaholic “no holds barred” cop who pranced the streets of San Francisco to fight inner city crime. In his legendary act as Inspector Harry Callahan, Clint expanded a glittering creative envelope to add chequered stars to his popular acting career. The hot dog munching lazy walk of the cop out to get justice, ever willing to go out of the way in his attempt to catch criminals and killers would make Dirty Harry a famous symbol of swagger and substance in Eastwood’s cinema of the 70’s and 80’s. Clint just doesn’t seem to rest. In the period after his successful cowboy outlaw and daring cop portrayals, Hollywood was all set to get enamoured by the brilliance of his directorial skills. He first broke out as a director by directing Jessica Walter and friend Don Siegal in “Play Misty for Me”, where he himself played a flamboyant radio jockey whose seemingly fling with a diva turns her into an over-riding obsession with the good looking bloke. For someone who had immersed himself into the great art of making films, it seems most of his films conveyed the essence that he himself brought to the giant screen: subtlety and strong resonance of a purpose, without too much loud shenanigans, sound or drama, yet keeping the sanctity of the motive behind the film intact. 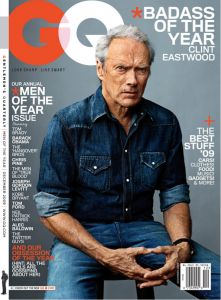 Eastwood would later make epics like ” Unforgiven” that won him an oscar for directorial brilliance, where he brought out a retired bounty hunter from oblivion to settle a few scores. By directing the highly acclaimed Jazz biopic “Bird”, based on the life of Charlie Parker, who Eastwood himself was a fan of, he became a maverick of Hollywood Cinema. In the latter part of his career, he was to break hearts and wrench emotions through films like “The Million Dollar Baby”, ” Mystic River”, ” The Changeling”, “Gran Tourino”, and the most recent biopic of the hugely successful sniper from United States with maximum confirmed hits: “The American Sniper”. It is quite impossible to comprehend when and where will the creative curve of this great giant of American cinema bend, but a thing can be said for certain, with his growing determination to bring to the screen and amidst popular culture, fragments of epic and surreal, from all walks of life, it seems Clint still has a lot of stories to tell.